Connecting veranda staterooms that both sleep 4? 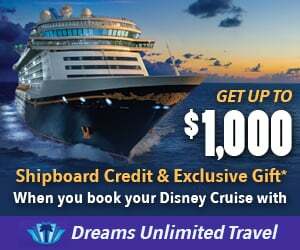 Discussion in 'Disney Cruise Line Forum' started by elle21, Feb 11, 2019. Hi all! We are about to jump off the ledge and book our first cruise. Super exciting! We are planning on a seven night on the Fantasy. Booking through Costco to get the cash card savings, but I'm struggling to figure out how to book connecting staterooms that both sleep four. We are a party of seven. Two adults, five kids. I obviously have to put my husband in one room and myself in the other on paper - one of us claiming 2 kids, the other claiming 3. But the sleeping arrangement plan is to have our three girls sleep in one room (each having their own bed - queen, sofa, berth) and our two boys sleeping in our room (each having their own bed - sofa and berth). Is this possible? Are there any connecting staterooms on the fantasy that both have the pull down berth? I have four kids so we had to do the same thing, basically. I did a fake search with a party of 4, 2A/2C and noted which rooms came up. I had a hard time relying on reports on other sites for accurate info. I know 7054 and 7056 connect and sleep 4. Enter a party of 4 and search for available rooms. You might not be able to book them online so you'll have to call. We have 4 kids as well, and do as the pp suggested... just search for 2a/2c and see what comes up. Yet another reason we love cruising over hotel stays... 2 rooms, but individual sleep spaces! Oh great idea to do a fake search! Thank you! If I call costco, will they be able to give me rooms that I request? Or do I have to book directly through Disney? You should be able to book specific rooms through any travel agent. I do recommend calling, though - I know we've booked connecting rooms on the Costco site, so you should be able to do the booking online via the website, but it's easier to make sure everything's right if you have someone on the phone. I'm pretty sure we did have to call to link the reservations for dining, at least - and at that point, it's just as easy to call to make the reservation. They may also have more specific in formation in their booking software than is available online, so even if you can't get specific rooms (one has booked up, etc), they may be able to do a search for you. I would think so, but I’ve never used costco. I do the fake search, find some room combos that work for us, and then call or email the travel agent with those rooms in the order I prefer them. It’s never been a problem. Being two parents, one in each room, with kiddos divided between us, I’ve never had to call and connect reservations for dining. Maybe the TA is doing it for us without me knowing, but we’ve always been linked together for dining/photos/ check in, etc. right from the start. I'd call DCL and tell their agent that you want two connecting verandahs that each have the pull down bunk and sofa bed. Then you can just transfer it over to Costco sometime in the next month, right? Also be aware that you will have to sign a form to let your husband take the kids assigned to your cabin off and he will have to sign to allow you to take the kids assigned to him off unless you are going to 100% be together leaving the ship and have yourselves in order so that the assigned staterooms are clearing together. I was able to do this during online check-in for our April Fantasy cruise. We will be five adults and three children in three staterooms, and I was able to assign all the adults on the linked reservations privileges to take them on and off the ship, as well as in and out of the kids clubs. I use a travel agent who offers an OBC. And, they booked the connecting cabins I wanted, I told them the ones that on my list, although I am sure the agent would have done a fine job. I dummy searched the Disney Cruise Line site and created a list of cabins that would work for our family.